Inflammatory diseases encompass a broad and diverse spectrum of serious chronic disorders, many of which have significant need for safe and effective pharmacotherapies. The conventional drugs used to treat immune-mediated inflammatory diseases include nonsteroidal anti-inflammatory drugs (NSAIDs), corticosteroids, sulfasalazine, 5-aminosalicylates, methotrexate, azathioprine, and 6-mercaptopurine which have exhibited limited efficacy with significant side effects. 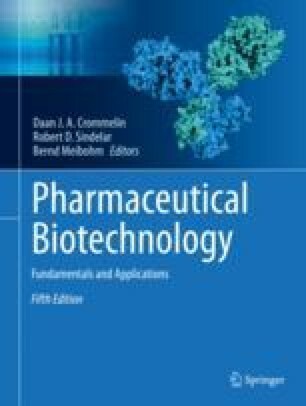 The initial rationale and promise of antibody-based biotherapeutics, such as monoclonal antibodies (mAbs), was focused on oncology and organ transplantation. Over the last two decades, there has been significant success in developing a number of antibody-based biotherapeutics as a very effective and relatively safe treatment for several inflammatory diseases, and this area of research and development is rapidly expanding. Five of the top-selling mAbs are for the treatment of chronic inflammatory conditions. Updated from Chapter 20 in the fourth Edition authors Zhou, Xu, Mascelli and Davis.